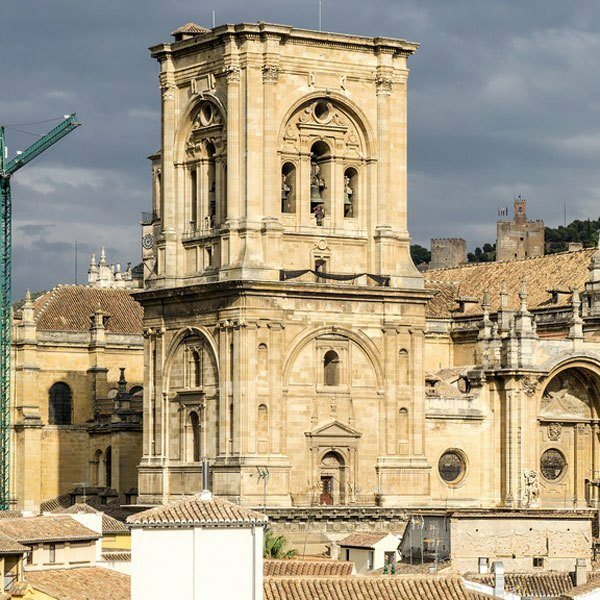 OUR CATHEDRAL in Granada started its construction in the year 1523 and was not finished until 1704 what resulted in a alternation of different styles like Renaissance, Baroque en Neoclasical. Imagine almost two centuries of construction with many diferent architects, painters, sculptors, and the best workers at that time. The main design of the building was done by Diego de Siloé, an architect from Burgos, who dedicated a large part of his life to this temple. Also important is Alonso Cano, artist from Granada who built the main facade and the main altar. The visit of the Cathedral includes the little but very important museum with liturgical objects, tapestries, sculptures and paintings, remarking the monstrance with its jewelry and gold. This enormous peace of art is taken in procession during the Corpus Christi Festivity.